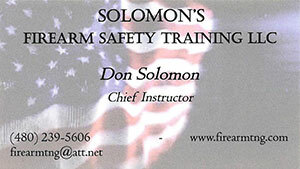 Our purpose is to provide you, the shooting public, with the best shooting experience in the White Mountain area! To do this we strive to ensure an environment that is clean and well managed, family friendly and above all, safe. The White Mountain Shooters Association (WMSA) hosts a wide variety of shooting organizations, both competitive and non-competitive. These clubs welcome new shooters whether you like to compete or just want to see what it’s like. To learn more about a particular club, click one of the links below. The Second Knoll Target Range is a nationwide model for range design in the National Forest. It’s a joint venture between the Arizona Game and Fish Department, the National Forest Service, ADOT, and the White Mountain Shooters Association. Second Knoll Target Range is open for public use on Saturday, Sunday, and Monday (weather permitting). See footer for winter and summer hours. The range is under the control of trained volunteer Range Safety Officers whose primary goal is to insure that everyone remains safe. 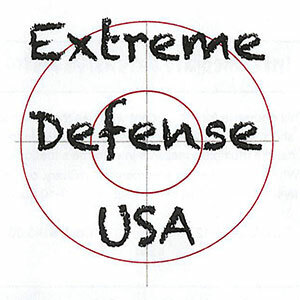 We currently offer a 100-yard all-purpose range for public use for rifles and pistols. The range complex also offers other facilities that are available through affiliated club activities. These are a 50-yard ”bullseye” pistol range equipped with turning targets and four 25-yard training and competition bays. The 50-yard range and competition bays are also available for rent for private events. Our range is a public range under the auspices of the Arizona Game and Fish Department. The department has 11 ranges throughout the state and ours is consistently ranked in the top 3. Moreover, we aren’t done. Future plans include a 300-yard range, a clubhouse, a classroom, and a resident caretaker. Join us. Come on out and shoot in the great outdoors! 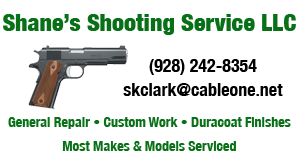 The White Mountain Shooters Association offers $100.00 sponsorships that include advertising on this website with your logo linking to your website and your business materials displayed at the Second Knoll Target Range. All funds to be used for maintenance and improvements at Second Knoll Target Range.